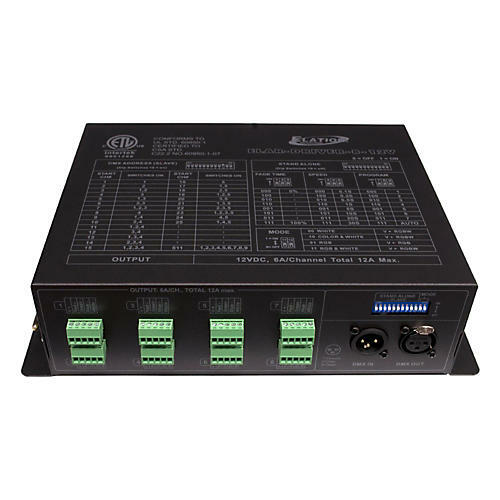 The Elation ELAR Driver-812V is a universal LED driver with 12 position dipswitch, 7 built-in programs, DMX and stand alone operation modes, and four output operation modes. Experience Elation Profesisonal lighting for your next event. 12VDC, 6A/CH, Total 12A Max. 24VDC, 6A/CH, Total 6A Max.